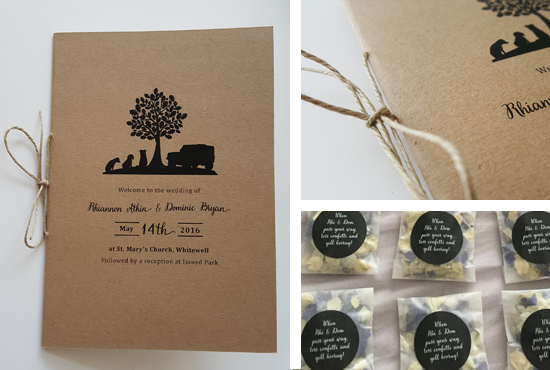 Attention to detail and adding the personal touch were key to this project, and it was lovely to be able to be create so many coordinating pieces of design and print for this client. 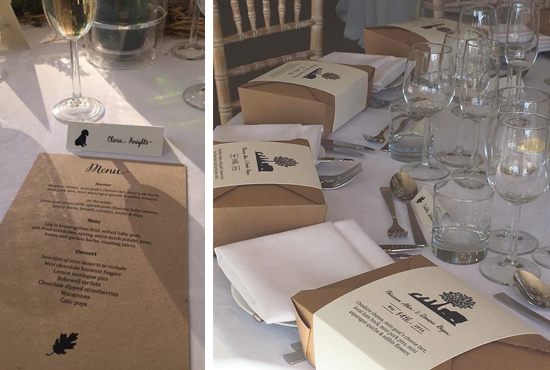 I handstitched the order of service booklets with a thin jute twine, and I made some custom card sleeves for the boxes which the couple presented their starters in for each guest. A really cute idea. 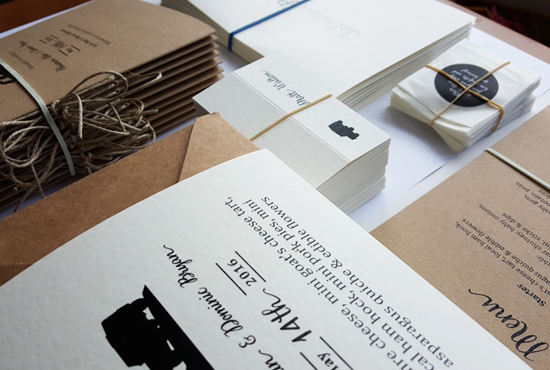 I also adapted the original tree illustration to work as a fingerprint tree 'guestbook' at the bride's request. 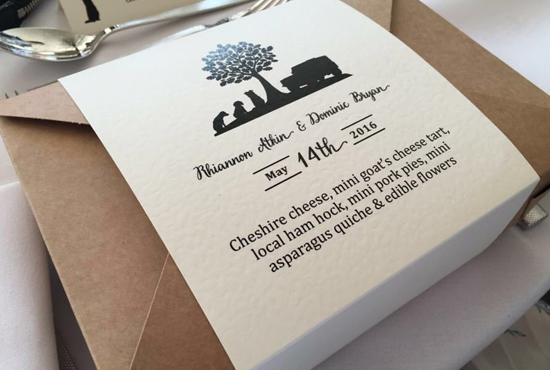 Its always really nice to receive photos back from the client of all the final print in action on the day, looks like a stunning wedding! 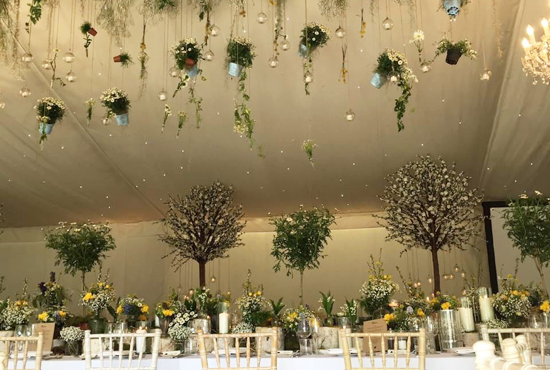 Love the tree theme and the hanging plant pots and lights, beautiful. Their in-house catering is remarkable. The food was delicious. So many of our guests (including and especially the foodies) have told us it was the best food they'd ever had at a wedding. The service at NYC wedding venues was impeccable but not overly formal.